The Book that Inspired me, was such an inspiring topic to write, as at first glance I felt that, I will not be able to stop writing about the works of President Obama, Toni Morrison or C. D. Wright . But then as I allowed the topic to sink a little deeper, I realized that I should surely share a book with you, that inspired me to be a professional, that inspired me and explained me that one need not be extraordinary to be . 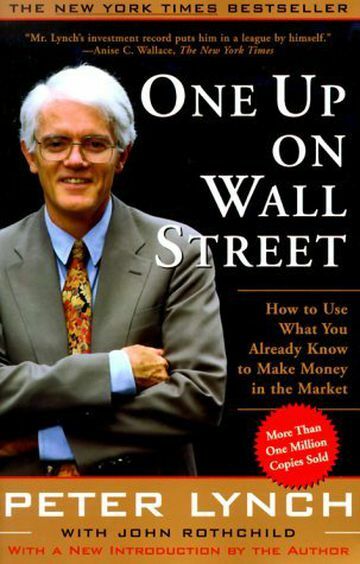 And the book is - One Up on the Wall Street, written Peter Lynch. At First, I thought to myself that won't it be difficult for me to explain that how a book that deals primarily with stock markets and finances is my inspiration and why not a regular " inspirational" book. But then I thought that wasn't it the first book that told me that one needs to be more determined than professionally skilled for staying focused on goals. Isn't that what we as women do. We remain focused and determined in spite of all the adversities that may come our way. Then it was the only book that told me that the decision to sell a stock is harder than the decision to buy it. Again, this had a deep impact on my life as many a times, I had to take a call, I had to get out of situations or if I may call, circumstances and that seemed harder than times when I had chosen them for myself at the first place. But, yes, I proudly say, I took those decisions and when I evaluate it, in retrospect, my life would have be sorrowful and full of misery if I hadn't. In Photos: Yoga Lessons From SHEROES Community Members!